Our training begins in the Salon and extends around the world... with everyone being unique yet extremely skilled. However, you can't train people to be humble; especially with this level of talent. I have been fortunate in finding gifted hairstylists who are not only secure and enthusiastic, but also follow my beliefs in customer service. Take the time to meet our excellent stylists as they are what makes our Salon so special. Edward knows that everyone expects a great haircut or color; that is a given. But it is what can happen beyond it that makes us exceptional. Edward believes in enhancing inner beauty through soft, natural looking color and cuts. His easy-going attitude - along with amazing talent and a relaxing, cheerful environment- makes an appointment with Edward not only memorable but just plain fun! As an amateur carpenter, Edward built many of the furniture pieces in the Salon. With an innate sense of style and an eye for beauty, Jason aims to impart high-fashion looks to his clients while maintaining ease and function. Drawing influence from industry icons, he creates tailored styles that take into account hair type and texture. The ability to deliver both modern and timeless hair has put him in the forefront of the beauty industry. Emiko is our hair chameleon dedicated to making sure we exceed your expectations. As our in-house photographer, her artistic eye keeps our social media footprint on point. Donna's passion for hairdressing shines. She is not shy or afraid to tell you how it is, so when you're in the mood for a change there is no one better. Color or cut, you won’t be disappointed. As one of our hip trendsetters in the Salon, Jamie brings style and innovation to every client in her chair. Her inspiration comes from constant education which allows her to keep her clients' looks current. Jamie's talent not only lies in cut and color but also hair extensions, where she tastefully matches the strands to create a seamless symmetry between your hair and the bonds. Genevieve's professionalism takes our customer service to the next level. Ask and you shall receive. Over twenty years of cutting and color experience combined with an amazing natural flair for the classics and modern hip do's makes Cathy a force to be reckoned with. Cathy has a great ability to bring some very modern edgy techniques into a classic style that gives her clients a lot of versatility. Book in advance as she fills up fast! Having an affinity for beauty, Katie's approach to hair is evident in her work. Her love for creative yet straightforward hair inspires precision techniques, designed to enhance her client's features and fit their everyday style. 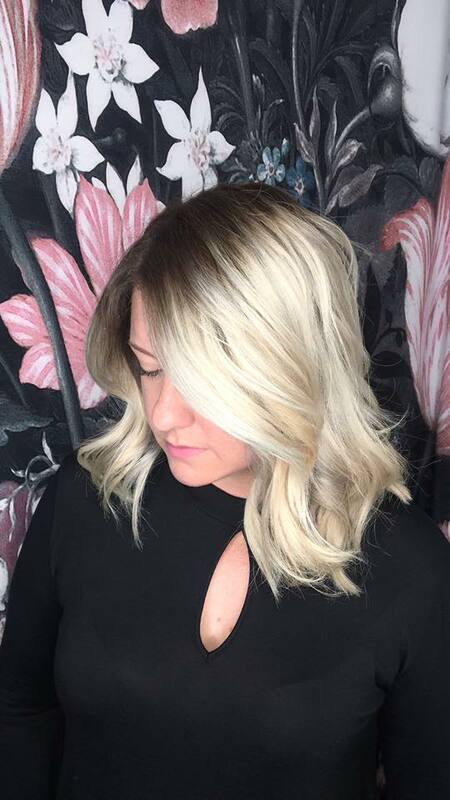 With her patience and desire to truly know a client's needs, Katie treats each cut as a unique personality and creates hair that looks effortlessly chic. Viva works hard to ensure each client is well taken care of. She inspires many with her style and fashion sense. As an outgoing professional who loves a challenge, Dana brings a unique European flair to the team at Edward's. Her strengths lie in her keen eye for detail and ability to listen, visualize and transform a client's request into modern and trending styles. Dana will take into account your hair type and texture to create a customized look to bring out your best features. Gennie's warm personality and eclectic style is highlighted in her clients. Her talents lie within creating elegant cuts that reflect the person while taking into account lifestyle and beauty routine. With her patience and desire to truly know a client's needs, Gennie enjoys the challenge hair color brings, whether it's naturally sun-kissed locks or modern bold shades. Leeann's attention to detail comes across in all of her clients. With high-fashion editorial looks in mind, she creates customized cuts to accentuate features and bring everyday, wearable glamour to your hair. Her approach to color is diverse -ranging from subtle to vivid- leaving each individual with a unique look to complement their lifestyle. Experienced in all facets of the makeup industry -including editorial and runway- we are fortunate to have Ana work her magic on our clients, especially brides. "Rather than be masked by makeup, I like for one to keep true to themselves and have their inner beauty shine through. For any occasion, you always want to still feel like yourself." Our up-and-comers: Anahi, Angie, Stephanie and Amanda greet the industry with excitement and interest. They keep the salon running smoothly while progressing through our advanced training at Edward's. If you want high-end services at bargain prices, and are open to creativity, give them a call at the Salon. Edward's Salon is always looking for innovative people to be a part of our team. If you are motivated, creative and passionate about the industry, call or email edward@edwardssalon.com or even drop by and check us out! Looking to become part of a team? Love what you do and who you do it with! As the first and last point of contact, we are looking for someone to create a lasting impression with every client. Proficient computer skills | Salon or Spa knowledge a plus!